The Constitution is the supreme document of the Students’ Union of the University of Port Harcourt and its provisions shall be binding on the representatives and members of the Union. The Students’ Union shall not be governed nor shall any person or group of persons take control of the union except in accordance with the provisions of this Constitution. 3.1. To promote and encourage the socio-cultural and intellectual interests of members. 3.2. To act as the representative of members. 3.3. To maintain good relationship with the University, and to be the recognized liaison between members and the University authorities. 3.4. To promote and protect the educational interests and welfare of members. 3.5. To protect/secure the fundamental rights and privileges of members. 3.6. To assist other recognized clubs, organizations,etc. within the Students’ Union. 3.7. To promote/protect the good name of the University of Port Harcourt at all times. 4.1. All registered students of the University of Port Harcourt shall be members provided such a student has duly registered as a student with the University and paid the prescribed membership fees/dues to the Union. 4.2. Honorary membership shall be conferred on persons who are not, and have never been students of the University, who by the interest they have shown in the affairs of the Union are deemed fit for the honor. This shall be on the recommendation of the Unions Executive Council and approved by two third members of the Union’s Senate. 4.4. All ordinary members of the Union shall pay an annual membership fee of two thousand naira (N2000) only or such amount that shall be determined or approved from time to time. 4.5. There shall be one each of grand patron, patron and matron of the Union. The grand patron, patron and matron shall be elected on the recommendation of the Union’s Executive Council and approved by a two third majority of theSenate. 5.1.All registered members are entitled to all the rights and freedoms as set out in this Article and the extant laws of the Federal Republic of Nigeria irrespective of race, gender, age, religion, nationally, and ethnicity provided that, in enjoying such rights, the rights of other people are not infringedupon. 5.2. Members shall have the right to the Union’s Constitution on payment of prescribed fees. 5.3. Members shall have equal privilege of using the facilities and services of the Union. 5.4. Members shall have the right/freedom to seek information from the three (3) arms of the Union. 5.5. Members shall have the right to freedom of expression and opinion. 5.6. Members shall have the right to freedom of peaceful association. 5.7. Members shall have the right to report all cases of harassment, abuse and intimidation from fellow members and the University, to the officers of the Union. 5.8. Members shall have the right to vote and be voted for at the Union’s Elections, except otherwise stated in this Constitution and subject to Electoral Guidelines. 5.9. Members shall have the right to petition any officer of the Union who abuses his/her office and power. This petition shall be forwarded to the Union's Senate through the Clerk. The authority and powers of the union shall be vested in, and exercised by the three (3) arms as established by this Constitution. 6.1. COMPOSITION: the Executive Council shall consist of the President, Vice President, General Secretary, Assistant General Secretary, Treasurer, Director of Finance, Director of Social, Director of Welfare, Director of Transport, Director of Sports, Director of Information and Provost. 6.2. Officers of the Executive Council shall be elected on the basis of individual candidacy by all members of the Union in a general election of the Congress. 6.3.1. For any meeting of the Executive Council a quorum shall be formed when there are two third members of the Council present at the meeting. 6.3.2. No motion shall be passed unless by a two third majority of members present. 6.4.2. Be responsible for the overall coordination of the activities and efficient functioning of the Union. 6.4.3. Have power to form committees to enhance the proper running of the Union, subject to the ratification by two/third majority of the Senate. 6.4.4. Summon, through the Secretary, all meetings of the Executive Council and the congress meeting over which he shall preside. 6.4.5. In conjunction with the Senate President and the Chief Judge summon a joint meeting of the three arms of the Union when the need arises. 6.4.6. Be signatory to the Unions Account. 6.4.7. Co-ordinate all National Association of Nigeria Students (NANS)-related activities on campus. 6.4.8. Present the Annual Budget of the Union to the Senate for approval. 6.5.1. Assist and advice the President in all his/her official duties and shall act in the absence or incapacitation of the President. 6.5.2. Carry out such other activities and functions that may be delegated to him/her from time to time by the President. 6.5.3. Automatically become the President if the post becomes vacant before the expiration of tenure of the President. 6.5.4. Be the Chairman/Chairperson of the Year One (1) Orientation Planning Committee. 6.5.5. Be in charge of the academic welfare of the students. 6.6.2. Convene, at the instance of the President, all Executive and Congress meetings of the Union. 6.6.3. Keep the records of the Union. 6.6.4. Compile and present report on the activities of the Union on a per semester basis to the Senate. This shall be in consultation with the President and Executive Council. 6.6.5. Carry out such duties as may be assigned to him/her from time to time by the President/Executive Council. 6.7.1. Assist the General Secretary in all his/her duties and shall act in his/her absence. 6.7.3. Be the Secretary of the Year One (1) Orientation Planning Committee. 6.8.1. Receive all Union monies collected by the Director of Finance, Secretary or other sources. 6.8.2. Deposit all monies so received in the Union's account within 48 hours after such receipt. 6.8.3.Be responsible for the disbursement of the approved expenditure of the Union. 6.8.5. Beresponsible for keeping an imprest as may be approved by the Executive Council from time to time. 6.8.6. Submit all receipts, payment vouchers and the account balance of the Union to the Executive Council on monthly basis. 6.8.7. Hold the Union's chequebook and other bank documents, and handover same at the expiration of his/her tenure. 6.9.1. Keep record/account of all the income and expenditure of the Union. 6.9.2. Collect all monies due to the Union and issue receipts for such monies. 6.9.3. Be a signatory to the Unions Account in the absence of either the President or Treasurer. 6.10.1. Co-ordinate all social activities of the Union such as Students’ Union Week. 6.10.2. Be in charge of the various musical and other entertainmentinstruments such as public address systems and see to their proper handling. 6.10.3. Be the Chairman of the Social OrganizingCommittee of the Union. 6.11.1. See to the proper welfare of all members in the Union. 6.11.2. Maintain a proper inventory of all Union properties and hand over same at the expiration of his/her tenure. 6.11.3. Maintain and account for all the Students Union buildings and shops to the Executive Council and the Senate on a per semester basis and at any other time on demand. This shall be done in conjunction with the Treasurer. 6.11.4. Be the Chairman of the Welfare Committee of the Union. 6.12.1. Take charge of Transport arrangement under such regulations as the Transport Committee shall make from time to time. 6.12.2. Be the Chairman/Chairperson of Transportation Committee of the Union. 6.12.4. Liaise with operators of motor parks within the three (3) campuses in the University to ensure ease of transportation of students, and sundry issues therefrom. 6.13.1. Co-ordinate all games and sporting activities of the Union. 6.13.2. Be the Chairman/Chairperson of the Sports Committee of the Union. 6.13.3. Present to the Executive Councilprogramme of sporting activities for each academic session. 6.14.1. Be the Chairman/Chairperson of the Publicity Committee and a member of the Union's Editorial Board. 6.14.3. Beresponsible for the production of the Student Union's Almanac, Periodicals and Stickers. 6.15.1. Be in charge of maintaining peace and order during Executive Council, joint sessions, or Congress meetings of the Union. 6.15.2. Work closely with the Chief Security Office (C.S.O) of the University in the discharge of his duties. 6.15.3. Be in charge of any property seized or confiscated from any erring officer, member or other relevant bodies. 6.16.1. The Student Representative Council herein referred to as “The Senate” shall be vested with the legislative powers ofthe Union. 6.17.1. The Senate shall comprise ofone Student’sRepresentative Council (SRC) from the various Departmentsand Hall of Residence in the University. 6.17.2. There shall be a Senate President and a Deputy Senate President who shall be elected on the basis of individual candidacy by all members of the Union at a General Election. 6.17.3. The Senate President shall after the GeneralElections conduct an in-house election to elect a Clerk and Chief Whip of the Senate. The election shall be by a sample majority of members present at a meeting called for this purpose. 6.18.1. For any meeting of the Senate, a two third majority of the total members of the Senators shall form a quorum. 6.18.2. No motion shall be passed into law unless by a two third majority of the total members of the Senators. 6.19.1. Confer honorary and life membership on any deserving person in line with the provisions of Articles 4.2 and 4.3 of this Constitution. 6.19.2. Elect the Patrons/Matrons of the Union in line with Article 4.5. 6.19.3. Elect the Staff Adviser of the Union, whose tenure shall be two years in the first instance, with a maximum tenure of four years. 6.19.7. Appoint sub-committees under itsjurisdiction. 6.19.8. Summon any officer(s) of the Executive Councilto account for their stewardship. 6.19.9. Repeal or amend Standing Orders. 6.19.10. Declare vacant the seat of a member of Senate who is absent for three consecutive meetings, without notice to the Senate President. 6.19.11. Perform such other duties as may be conferred on it by other sections of this Constitution. 6.20.1.1. Preside over the meetings of the Senate. 6.20.1.2. Be a member of the Executive Council and shall be elected at the Annual General Elections. This is without prejudice to section 1 of this article. 6.20.1.3. Have power to warn, send out from the meeting and/or place under suspension as he may deem fit for a period not exceeding two months, any member that misbehaves or interruptsa meeting of the Senate. 6.20.2.1. Act as Senate President in the absence of the Senate President. However, where the Senate President and the Deputy Senate President are absent, the Senate shall elect one of its members to act as Senate President. 6.20.3.1. Perform all the secretarial duties of the Senate. 6.20.3.3. Forward any motion received to the Senate President within 48 hours. 6.20.3.4. Make public resolutions of the Senate within 48 hours from the day such resolution were passed. 6.20.4.1. Be responsible for the maintenance of peace and order in the Senate. 6.20.4.2. Bear the Mace and lead the others in its ceremonial procession before any meeting. 6.20.4.3. Bring to the notice of the Senate President any transgression of the Standing Orders or any other matter that might obstruct the meeting of the Senate. 6.20.4.4. Perform any other function as may be deemed fit or assigned to him by the Senate President. 6.21.1.2. Judges so elected shall be men/women that are fit and proper and of proven integrity and honesty. 6.21.1.3. Members shall have a good knowledge of the Union’s Constitution. 6.21.1.4. The Legal Adviser of the Students Union shall be in line with article 11 sub-section 11.1 of this Constitution. 6.21.1.5. There shall be a secretary and such other officers who shall be elected among the Council to carry out the Secretarial and Administrative functions of the Council. 6.21.2.1. To check and ascertain the constitutionality or otherwise of any action taken by the President or other officers of the Executive Council, the Senate President or other officers of the Senate or members of the Union. 6.21.2.2. To check and ascertain the constitutionality of the Senate’s legislation. 6.21.2.3. Shall adjudicate on cases brought to it by members of the Union and the arms of the Union. 6.21.2.4. The decision of the Council shall be that of the simple majority of its members present and sitting throughout the trial. 6.21.2.5. The members of the Judicial Council shall be removed subject to the approval of two third majorities of the members of the Senate. 6.21.2.6. Conventional court procedures shall be followed in the adjudication of cases. 6.21.3.1. Preside over the Judicial Council proceedings. 6.21.3.2. Have the right to place injunction on any Union activity that does not follow due process. 6.21.3.3. Be responsible for swearing in new Executive Committees of the Union. 6.21.4.1. Act as Chief Judge in the absence of the Chief Judge. 6.21.5.1. Adjudicate cases brought before them, and settle crises within the Union. 6.21.6.1. Any plaintiff/defendant shall have the right to be represented by a counsel. 6.21.6.2. Any person charged before the Judicial Council shall have the right to challenge his accuser/prosecutor in an open hearing. 6.21.6.3. Any part to a suit before the Council shall have the right to object to a member of the panel, if such a person can show reasonable grounds for believing that the member so challenged is likely to be biased in the handling of the matter. 6.21.7.1. There shall be a Judicial Supervisory Committee (JSC) set up by the recommendation of the Executive Council with the approval of two third majority of the Senate. 6.21.7.2. The Judicial Supervisory Committee shall checkmate the excesses and abuse of power by the Judicial Committee and report to the Senate through the Senate President. 6.21.7.3. The Judicial Supervisory Committee shall have powers to scrutinize and interview members of the Union who wish to be Counsels in the Union and forward names to the Senate for approval within 72 hours after a thorough screening. 6.21.7.4. The Judicial Supervisory Committee shall be headed by a Chairman/Chairperson and Secretary who shall be appointed by the President of the Union. 7.1. The Congress shall be the highest decision making organ of the Union. 7.2. The Congress shall be convened at least once every semester. 7.3. Quorum for Congress - Quorum for Congress shall be deemed to have been constituted when at least two hundred (200) students from the College of Health Sciences (CHS), 200 students from each of the other Faculties outside CHS, and 200 students from the School of Science Laboratory Technology are present. 7.3.1. There shall be accreditation to be conducted by the Security Unit of the University in conjunction with the Students Affairs Department using an authenticated list provided by the ICTC on the day of Congress. 7.4. The Congress shall ratify the budget and all key decisions of the Executive and Senate of the Union. 7.5. The Congress MUST approve all key decisions that affect the generality of the students such as Students’ Union dues and levies, approval of budget, declaration of protest against the institution or government at any level, etc. 7.5.1. An approval of any key decision by Congress shall be by two-thirds majority votes cast accredited members at a Congress duly convened. 7.6. All such decisions and actions not approved by the Congress shall be termed unconstitutional and illegal; such unconstitutional and illegal action(s) shall constitute gross misconduct. 7.7. The Congress shall receive a detailed statement of account of stewardship from the Executive at the end of tenure of office. 8.1.The Executive Council or any member of the Council shall not be removed from office except by the vote of two third majorities of the entire members of the Senate for stated misbehavior, inefficiency and incapacity. 8.2.No Executive Officer of the union shall be removed except on the basis of gross misconduct that has been established by a Panel of Investigation. Such removal shall be ratified by Dean of Student Affairs. 8.3. Any Officer who has been removed from office may appeal to the Judicial Council if he/she feels the reason for the removal is contrary to the provision of the Constitution. 8.4. In the case of resignation or removal of the President, the Vice President shall be sworn in as President by the Chief Judge within 24 hours. The Chief Judge shall report same to the Senate President within 24 hours; the Senate President shall in turn notify the members of the Union within 48 hours. 8.5. All resignation shall be submitted to the Senate President who shall notify the members of the Union within 48hours. 8.6. Any officer(s) who has resigned or has been removed from office shall handover or submit all Union’s property in his/her possession within 48hours. 8.7. In the event that there is no Executive Council, the Senate President shall summon within 48 hours a General Meeting of the Senate to elect a Caretaker Government which shall hold office for a period not exceeding three (3) months. Where within this period it is not possible to have a new government, the Senate shall extend the time for another period not exceeding three (3) months. However, the extension MUST be such that the period of General Elections, which is Second Semester, is maintained. 8.8.Removal of the Senate President, Deputy Senate President and other officers of the Senate shall be by a motion, supported and approved by two third majorities of the members of the Senate. Such removal shall be communicated to the President within 48 hours. 8.9. Officers of the Judicial Council shall be removed by the recommendation of the Judicial Supervisory Committee (JSC) and supported/approved by two third majority of member of the Senate. 8.10. Any removal by the Senate shall be communicated to the affected Union Official through the Dean of Student Affairs. 9.1. The tenure of office of all elected Officers of the Union shall be one Academic Session. 9.2. The Executive Council shall form the Union’s Electoral Committee four (4) weeks before the expiration of the tenure, for the purpose of conducting fresh elections. 10.1. The Executive Council shall meet at least once (1) in a month. Emergency meetings may be convened when necessary. 10.2. The meeting of the Senate shall be held not more than twice (2) in a month, except in the case of emergency. 10.3. The resolutions of the Senate shall be made known to members of the Union within 48 hours by publications on Notice Boards and an approved Social Media platform. 10.4. The Judicial Committee shall have the right to convene a meeting when necessary, to adjudicate cases brought to it. 10.5. The Judgment of the Judicial Committee shall be made known to members of the Union within 48 hours by publication on Notice Boards. 10.6. Ad-hoc and Sub-committees may meet at their discretion. 10.7. A general meeting of the Union (Congress Meeting) shall be called at least once(1) in every semester. 11.1. There shall be a Legal Adviser to the Union who shall be appointed by the President after due consultation with the Executive Council and the Dean, Students Affairs. 11.4. Any person so appointed shall give such legal advice as the Executive Council may from time to time require. 11.5. The Legal Adviser shall cease to hold office when a motion for his/her removal has been passed and approved by the votes of two third majorities of members of the Senate or if such a person resigns his post. 12.1. All officers of the Union shall be individually or jointly responsible for any acts of commission or omission perpetrated in the performance of their duties. 12.2. All offices shall be financiallyaccountable for expenses incurred on behalf of the Union. 12.4. The Annual Report and account of stewardship of officers shall be presented at the first Congress of the Union after the elections. 13.1. Accounts of the Union shall be audited every semester by the Finance and Audit Committee of the Senate. 13.2. Auditors will be entitled at the Union's cost to a refund of all expenses incurred by it and to any fee or honorarium approved by the Senate in respect of the discharge of their duties. 13.3. The Audit Committee shall have power to require the Trustee to submit to them at a stated place, period and time, the accounts and records of the Union in their custody. 13.4. The Audit Committee shall have power to require the Executive Council of the Union and any other officer or member of the Union to submit to them written reports on any issue affecting the affairs of the Union, based on the auditors’ terms of reference. 13.5. The Audit Committee shall have the power to require any of the persons in sub-section (3) and (4) of this section to appear in person before them for the purpose of interrogation on, or clarification of, matters related to the affairs of the Union or on the Auditors’ term of reference. 13.6. Auditors appointed or invited by the Senate shall be given written terms of reference and the conditions of their appointment. 13.8. The Audit Committee's report and statement of account shall be published on Notice Boards. 14.1. Any Club or Association within the University with the aim of developing and promoting Students’ welfare and quality of life may affiliate with the Union. 14.2. The club or association who wish to affiliate with the Union shall apply in writing, enclosing its Constitution, a report of its activities and a fee of One thousand naira (N1000) only or such amount that may be determined or approved from time to time. 14.3. The Club or Association shall provide the Union with its approved scheme of activities at the beginning of each session. 14.4. The Club or Association shall keep the Union informed of its officers from time to time. 14.5. The Club or Association so accepted and recognized by the Union shall have the privilege to use the Union's property and enjoy the Union's patronage or support. 14.6. The Club or Association shall be privileged to apply for grants by way of aid from the Union. 15.1. Members of the Union who are in the various Departments shall have the right to form their Associations at the departmental levels only. 15.2. There shall be only two (2) arms of administration at the Departmental level namely: the Executive and the Congress. 15.3. The Executive Council shall be responsible to members in the Departments and shall report on semester basis to the Departmental Congress. 15.6. Departmental Associations shall have the right to make bye laws for the smooth running of their administration. In the case of conflict between this Constitution and the bye laws of any Departmental Association, the provisions of this Constitution shall prevail. 16.1.1. The annual levy of every registered member as may be determined from time to time. 16.1.2. Any voluntary donation from corporate bodies and individuals. 16.1.3. The proceeds from Students Union activities. 16.1.4. The proceeds from investments. 16.1.6. The Union shall have borrowing powers for special capital projects with due approval from the Vice-Chancellor. 16.1.7. Revenues and monies received by the Union shall be paid into the Union’s Bank account by the Treasurer. In acknowledgement of funds received or disbursed by the Union, the Treasurer shall make out duly signed and stamped receipt. 16.1.8. The Bank Account of the Union shall be operated by Trustees of the Union. Trustees shall include the President, Treasurer and the Director of Finance. 16.1.9. All vouchers and purchase orders on any capital project shall be duly scrutinized and counter-signed by the President and the Treasurer. 16.1.10. Application for grants in aid to affiliate clubs and associations shall be made on an application form obtained from the Treasurer. 16.1.11. The funds of the Union shall be disbursed according to the Annual Budget approved by the Senate, subject to the Vice Chancellor’s approval. 16.1.12. Copies of the approved Annual Budgets of the Union shall be made available on request by the members of the union. 16.1.13. Supplementary budget can be submitted when the need arises and shall be approved by two third majorities of the members of the Senate. 16.1.14.All financial applications and withdrawals of the Union’s fund shall be subject to the approval of the Dean of Student Affairs. 17.1.AD HOC COMMITTEE: The Executive Council shall have powers to set up Ad-hoc Committee.This shall be widely advertised and shall not duplicate the standing Committees. 17.2.STANDING COMMITTEE: There shall be the following standing Committees of the Union. 17.2.2. Shall comprise five members elected on the floor of Senate from amongst Senators, which shall be headed by an in-house Auditor appointed by the Senate President. 17.2.3. Shall scrutinize and approve the budget of the Union and any budgetary expenditure. Shall report and give statement of account of all audited account to the Senate President without prejudice to Article 12 of this Constitution. 17.3.1. The other Standing Committees are - Social, Welfare, Games/Sports, Publicity/Information, Security, and Transportation. These Committees shall be headed by the respective Directors and comprised of five (5) other members to be appointed by the Executive and approved by the Senate. 18.1.1. The Student Union Week planning Committee shall be formed by the Executive Council and approved by the two third majority of the Senate. 18.1.2. Members of the Committee shall be drawn from each College/Faculty in the University. The Committee shall be headed by the Director of Socials of the Union. 18.1.3. The Committee shall be responsible for organizing the entire activities of the Students’ Week. 18.2.1. The Editorial Board shall comprise an Adviser, who shall be a member of the University Academic Staff, the Director of Information, an Editor, and such other persons as may be deemed appropriate. 18.2.2. The members of the Board shall be appointed by the Executive Council with the approval of two third majority of the Senate. 18.2.3. The Editor-in-Chief and Secretary of the board shall be appointed by the President. 18.2.4. The Treasurer of the Union shall take charge of the funds of the Board. 18.2.5. 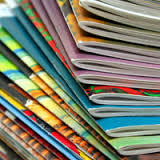 The Board shall have powers to publish the Union’s Magazine and other publications. It shall ensure a high standard of publication. 19.1. The General Election of the Union shall hold in every Second Semester in a session in the week during the Students’Union Week on a date to be fixed by the Dean of Student Affairs and Electoral Committee. 19.2. The General Election of the various Departmental Associations in the University shall be held in every first semester in a session within six weeks of resumption of every session, on a date to be fixed as in 19.1 above. 19.3. Vacancies occurring in any of the elections shall be filled in a bye election to be conducted within 3 weeks after the general election. 19.4. Subject to the provisions of this section, elections for the Union shall be carried out in the way and manner set down in the electoral regulations and guidelines in Article 20. 20.1. There shall be an Electoral Committee for the Union which shall consist of one (1) representative from each Faculty. The leadership of the Students’ Union (Executive) after consulting the Dean of Student Affairs shall appoint the Electoral Committee Members. 20.2. The Dean, Student Affairs shall advice the Union on the appointment of Electoral Committee Chairman/Chairperson and Secretary from among the Electoral Committee members. 20.3. The members of the Armed Forces in the University and other security personnel shall be in charge of the security during the elections. 20.4. The conduct of the GeneralElection and bye elections of the Union shall be vested in the Electoral Committee. 20.5. Officers of the Union shall be elected on individual candidacy. 20.6. Election shall be by secret ballotexecuted by the physical casting of the ballot paper or casting by electronic means. In any election year, the DSA shall decide which of the method is suitable depending on the exigencies of the time. 20.7. Election shall be held within twelve (12) days but not earlier than three (3) days after the close of nomination. 20.8. Election petition shall be filled to the Electoral Committee not later than seven (7) days after elections. 20.9. The Electoral Committee shall have the power to make rules and regulations to ensure orderliness and good conduct in elections and during electioneering campaigns. 20.10. Any candidate who contravenes any section of any rule made under any section(s) of these regulations and guidelines in this Article shall have his candidacy nullified. 20.11. The Union shall be responsible for all expenditure pertaining to the conduct of the election. 20.12. Any candidate vying for the position of the Senate President must have served as a Senator. 20.14. All candidates must undergo security vetting, and be cleared by the Security Unit of the University from membership of any student or external cult group, or any criminal behaviour. 20.15. Any person who wishes to contest for any position of leadership in the Students Union must be a valid registered student in the University. And in the following year when he/she is expected to handover, a student who does not handover properly will face a disciplinary action by the University. 20.15.2. Is on disciplinary suspension by the Union and or the University that is inimical to the peace and order in the University. 20.15.3. Has a Cumulative Grade Point Average (CGPA) ofnot less than 3.50,however, for students in College of Health Sciences, Pharmaceutical Sciences, and other programmes where CGPA is not used, the students raw result shall be computed to arriveat a CGPA which mustnot be less than 3.50and such students must not have repeated a class on academic grounds. 20.15.4. Is in their first year of registration. 20.15.4. Is on academic suspension. 20.15.5. Has been found guilty of any form of examination malpractice. 21.1. There shall be a Staff Adviser to the Union who shall be elected by the Senate of the Union after due consultation with the Executive Council, and approved by the Vice Chancellor. 21.2. The Staff Adviser shall be an academic staff who has been a former student leader,a former Dean of Students Affairs, or any academic staff with proven records of advocating and supporting students’ courses. 21.3. Any person so appointed shall give such advice as the Executive Council may from time to time require. 21.4. The Staff Adviser shall have a tenure of two years in the first instance and a maximum tenure of four years. 21.5. The Staff Adviser shall cease to hold office when a motion for his/her removal has been passed and approved by the votes of two third majority of members of the Senate or such person resigns his post. 22.1. Written notice of any motion to amend the Constitution, with the suggested amendment stated in precise terms and signed by the movers andseconded, and sent to the Senate President through the Clerk. 22.2. The Senate President shall ensure a copy of the proposed amendment is pasted on the Notice Boards of the various College/Faculties within 48hours of its receipt. 22.3. A copy of the proposed amendment of the Constitution shall be presented to the Dean of Student Affairs. 22.4. No amendment to this Constitution shall be valid unless it is passed by a two third majority of the entire membership of the Union's Senate. Such amendment (s) shall become operative following the approval of the University Senate. 23.1 This Constitution shall be cited as the Constitution of the Students’ Union, University of Port Harcourt and expressly repeals the former Constitution of the Students’ Union, University of Port Harcourt.